Works great and no scent! It’s hard to find soothing nappy balm with no lavender (husband is allergic) so we were pleased to find this item and eager to try. Unlike alot balms the texture isn’t too thick and goes on easily. The product has no scent and keeps bubs booty soft and calm. The size isn’t huge but as you only use a small amount I am yet to finish ours and it’s been a month. Love this product – it is a thick barrier cream that is easy to use and get out of the tub rather than those pesky squeezy tubes! Plus knowing the product is natural and good for bubs skin makes me feel great for using such a fantastic product. 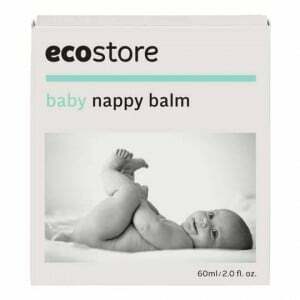 How would you rate Ecostore Baby Nappy Balm?